In our last post we wrote about how much down payment you’ll need for a house based on different scenarios. 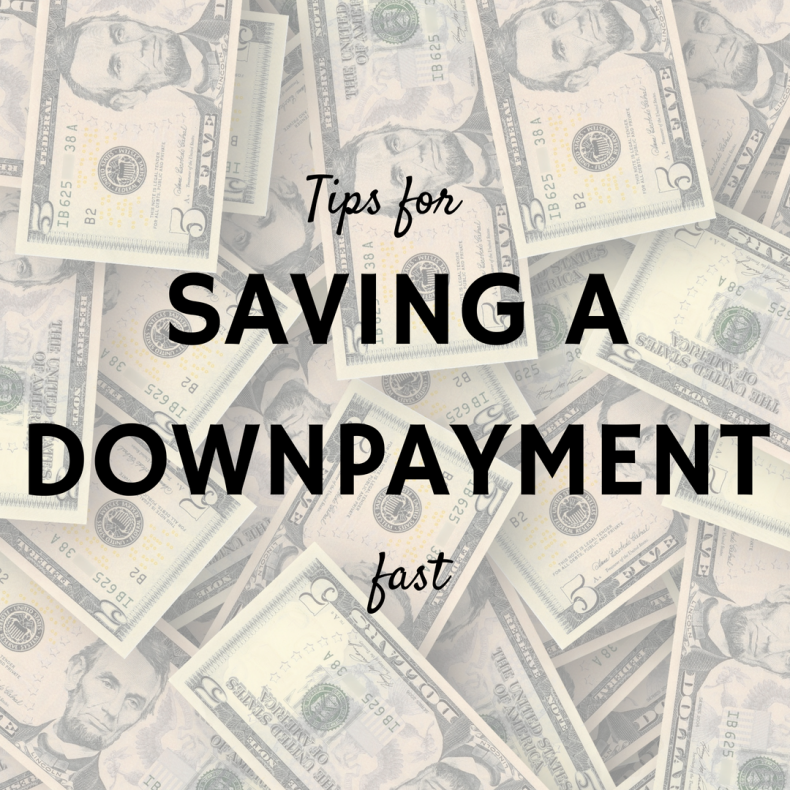 Now that you know your goal, the big question is – is saving a down payment fast even possible? A: Fast Track: Grit your teeth and save as much as possible, as quickly as possible. In this post we’re going to tell you the real-life story of a Mount Pleasant resident who wanted to fast-track buying a house – and how that affected her life and the property she bought. Lisa is a single, first-time homebuyer who is renting in Mount Pleasant. Lisa works at home, so she wanted a room for a home office and a guest room for her parents when they visit. She was looking for a three-bedroom condo as centrally located as possible. Based on online calculators, she decided on a budget of $250,000. Lisa had nothing saved for a house yet, but she saw interest rates rising and she wanted to adopt a dog. She was motivated to buy as quickly as possible, within eight to 12 months. Lisa has excellent credit and she knew she’d qualify for an FHA loan with just 5% down. That means she needed $12,500 for her down payment, plus $8,000 to $10,000 for closing costs (3% to 5% of the purchase price). To make up for the $3,000 short fall, she hired herself out as a live-in pet sitter for one week out of every month. Then she just needed closing costs. After getting some advice from a Realtor friend, she decided her strategy would be to look for a two-bedroom instead of a three-bedroom condo. That would allow her to make a full-price offer on a property in exchange for the seller paying as much of her closing costs as possible. In theory, she’d be ready to make an offer in about eight months. Lisa didn’t have any problem skipping shopping and switching to PBS and library books. She doesn’t like to cook, and she missed going out for meals with friends – she admits to caving in more than a few times. She managed to save $7,000 in eight months. As a pet sitter, she earned $40 a day and found she saved on groceries because her clients usually left her enough supplies to get by. She saved an additional $3,500 in eight months. With $10,500 in the bank, she started shopping with her Realtor. She quickly found a two-bedroom condo for $230,000. The unit needed quite a bit of cosmetic work, but it was in the exact location she wanted. Right before she made an offer, her parents said they’d gift her $10,000 so she could buy a three-bedroom condo – as long as they could vacation for free once or twice a year. It was something she wanted to offer them anyway, so she accepted. Using a financial gift for a down payment isn’t as black and white as it seems. Your mortgage company doesn’t just want their money; they want to know you can make your monthly payments. Lisa’s parents could have gifted her up to 20% of her down payment since her credit score was above 619. Otherwise, she would have had to contribute at least 3.5% of the loan from her own money. The underwriter asked for a letter from her parents stating the money was a gift and not a loan. He also asked for her parents’ bank statements. Lisa’s mortgage company required all funds used for the transaction be in her account 60 days before closing, which is not unusual. However, it was a surprise to her as she’d planned to continue saving right up until closing day. As it turned out, the money she had in the bank 60 days from closing day would have to be enough. Lisa found her three-bedroom condo two weeks later. Because she needed her parent’s gift to be in her account for 60 days, she made a full-price offer but asked for $8,000 in closing costs and a closing date in eight weeks. She also wrote a letter to the seller explaining her situation, and explaining that she enjoyed DIY so she wouldn’t nickel and dime them at the inspection. They accepted. Lisa got her condo within her timeline, but she didn’t change much about her scaled-back finances. She did give herself more room to go out for brunch with friends, but she decided to keep saving so she had money to spend on her condo – and on her new dog. Next week we’re going to write about the slower and steadier approach to saving money for a down payment – and what having more time gets you.